Excellent for connecting floating docks to decks and landings on shore. Aluminum frame with removable decking makes install and removal easier. 5” or 8” aluminum frame. Heavier 8” frame allows for longer spans. 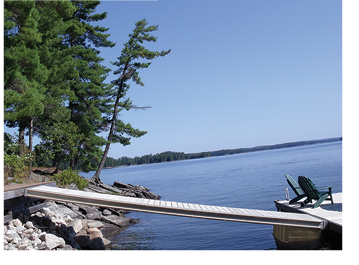 Also suitable for use with wood floating docks.